Posted in: Arrests, Media Release. Tagged: Grande. Franklin Police have made two arrests related to a string of neighborhood auto burglaries, and more are expected. Officers working a special anti-burglary detail on May 27 encountered a carload of suspects at a Moores Lane apartment complex. The driver spun out while attempting to evade officers in a vehicle that had just been stolen from the apartments, shortly after 2am. Officers were able to catch two of the four suspects as they fled from the stolen car on foot. 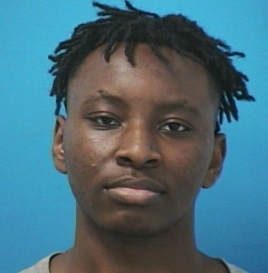 Charged with Burglary, Evading Arrest, and Contributing to the Delinquency of a Minor, 18-year-old Michael Ulumenfo of Antioch is free on the $15,000 bond set by the Magistrate. He is due in court tomorrow at 1:00 pm. The fleeing juvenile suspect captured by officers has been charged with Auto Theft and Evading Arrest. Two additional juveniles have been identified and are now being sought by Detectives on multiple felony charges. Detectives believe that up to a dozen unlocked cars were entered. A handgun was stolen from one of the unlocked cars – that gun remains unaccounted for. The car the suspects stole was left unlocked by the owner, with the keys inside. Detectives determined that a Nissan van drove 9-10 suspects to Franklin. When they reached the apartment complex, suspects got out on foot and simply started checking door handles for unlocked cars.